It’s about to be that time of year again, when ordinarily sane people lose their sense and get up before dawn to stand in the cold for the chance to be the first to push through the doors of big-box retailers and scoop up those Black Friday bargains. If you’re one of those bargain- and adrenaline-seeking shoppers, I will wish you luck from my bed, where I will happily be sleeping off Thanksgiving. Although I have no desire to even leave the house on Black Friday, there are admittedly some pretty good deals out there – but for those of us who would rather be hermits on this special day, it’s becoming less and less necessary to venture outside to take advantage of those deals. Hooray for the Internet! While Cyber Monday is the official discount day for online shoppers, plenty of companies have online sales in place for Black Friday, too. That includes 3D printer companies, many of which do most of their business online to begin with. If you’ve been thinking about buying a 3D printer, either for yourself or for someone else, check out the websites of the retailers you’ve been considering – it’s likely they’ll have some special discounts going on this week. Here’s a look at just a few of them and the deals running for 2017. From Black Friday through Cyber Monday (November 24-27), ZMorph is offering 15% off on all multitool 3D printers bought through its online store. The company is even offering free shipping worldwide. This includes the new ZMorph VX 3D printer as well as all other 3D printer sets. These bargains are in place now while supplies last. This week, Type A Machines is offering 20% off all filaments and heated build platforms. It could be a good chance to try out some of the more unusual filaments the company stocks, such as Magnetic Iron PLA and GMASS Bismuth (in case you’re working on anything involving radiation shielding). LulzBot is extending its holiday sale from Black Friday until the day after Cyber Monday, November 24-28. This includes 20% off select 3D printers including the TAZ 6 and the Mini, as well as 15% off several tool heads and Printed Solid enclosures. But the really huge savings come in the filament section – LulzBot is offering up to 75% off several materials, with prices dropping to as low as $6.24. Another company having a serious filament sale is AIO Robotics. Until Black Friday, you can get AIO’s Universal PLA Filament Bundle for $88 (regular price $149), which includes 12 spools of filament at what equates to $7.33 each. The company’s 3D printing pen, which comes with free filament, is also greatly reduced from $109.99 to $49.99. It’s not just 3D printers and filament that are on sale this week – some 3D models are discounted as well, so you can buy a 3D printer and supplies while 3D printing on the cheap as well. CGTrader’s 3D models are all 30% off this whole week. Until midnight on Monday November 27, CEL is discounting the RoboxDual RBX02 3D printer from £1,499.90 to £1,249.90. They’ll also throw in some free filament – quite a bit of it, in fact. Along with the 3D printer, you’ll get Polymaker PolySupport, Sunset Orange PLA, Polymaker PolyFlex and Formfutura HDglass. Speaking of Polymaker, the company is offering a special deal from Black Friday through Cyber Monday: if you buy a Polysher, you’ll get two spools of PolySmooth filament for free. In addition, select filaments will be 50% off this whole week through the 27th. On Black Friday, if you buy a Replicator+ and MakerCare Preferred, you will receive a 10-pack of PLA plus free shipping. Monoprice already has some big sales up on its electronics, but it will have some special 3D printer sales in place for Black Friday and Cyber Monday. There will be a 20% discount on a large selection of products, and free shipping on select 3D printers. The company will also be releasing, for a limited time, the Mini Delta 3D Printer, which won’t be officially launched until April. Filamentive is running a pretty big sale on filament, too – from Black Friday through Cyber Monday, all 3D printer filament is 40% off. If you’ve been thinking about making a switch to recycled filament, now is your chance to try it out. As you can see, many of these companies are having sales that run this entire week, or even into next week as well. There are several other companies, including MakerGear, NinjaTek, and others that are planning to reveal Black Friday deals on the day itself, so check out their websites as well. If you’re braving physical retail outlets on Black Friday, make sure to be extra kind to your cashiers and sales associates. If your retail transactions are happening online, feel free to be as rude to your computer as you like. Happy Thanksgiving and all that comes after it! Are you shopping for 3D printing deals this year? 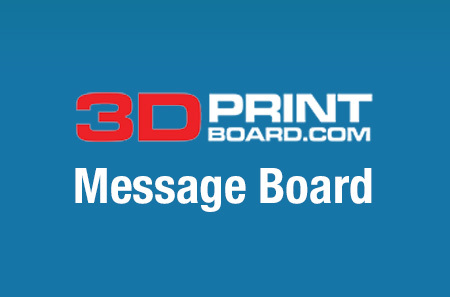 Share your thoughts on this and other 3D printing topics at 3DPrintBoard.com or below.